Losing your parents as a small child is a nightmare. Your whole world centers around the two people who love you more than anyone else, when suddenly, they’re gone. 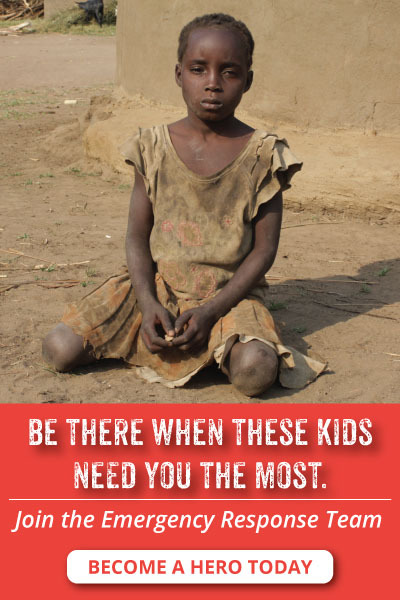 Without their parents, a child suddenly becomes a burden to neighbors and relatives, seen as someone to be exploited. And so, the abuse begins. Do you know any seven-year-olds? Could you imagine him or her as an orphan who is now in charge of a younger sibling? Sheila, a seven-year-old in Uganda, doesn’t know how to read yet because she can’t go to school. She has lost more than her parents; she’s lost her entire childhood. Sheila’s mother was lured into a relationship with an older man. He convinced her to drop out of high school, got her pregnant, and took her to live with him. There, she discovered that he had three other wives, and that she had just signed up for a lifetime of horrifying abuse. After being beaten one too many times, she left and escaped to the big city. Now, her two children are left to fend for themselves. After Alisha lost her mother, she lived with her stepmother who was mentally ill. Drunk with power, Alisha’s stepmother would force her to stand on shards of glass in the corner of the room for hours on end and beat her every day. Where was the love and affection a child needs when suffering the loss of a parent? Instead Alisha found only hatred and anger. Will you step in for children like Alisha and Sheila? They need you to defend them and rescue them into a safe place. When you make a gift to Orphan Rescue Operations, you will save orphaned children from abuse and mistreatment. Your gift will bring them into a loving Kinship Home where they will have a father and mother who truly love and care for them. Your support will give orphans food, clothing, an education, and a safe place where they can thrive. Most of all, your gift will stop the cycle of abuse once and for all. 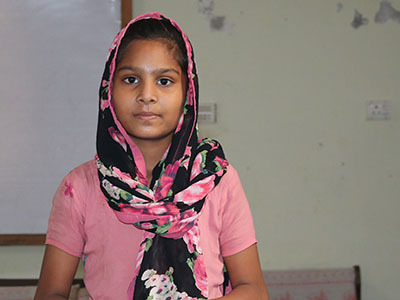 Imagine how children like Alisha and Sheila will feel when someone shows up on their doorstep and says “You’ll be safe now.” Imagine their delight when they are given their own bed and have enough food to eat every day. You can be the one to give them that feeling. 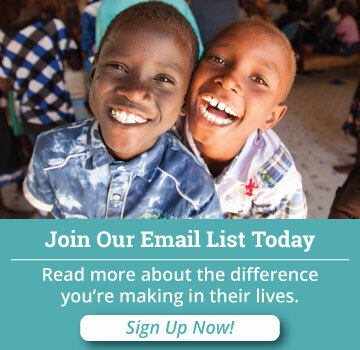 Make your gift to Orphan Rescue Operations today and 100% of it will be used to save desperate children.